“Talbert “Ted” Abrams was 8 years old on December 1903 when his father came home with the news. “Those Wright boys have flown an airplane.” Ted loved to tell that story to reporters. It set the stage for a lifetime devoted not just to airplanes, but to all aspects of flight. before his death at age 95, he had been a military pilot, a barnstormer, an aerial photographer, an inventor, a photogrammetrist, a businessman, an explorer, a commercial passenger, a world traveler, a teacher, a writer, and a philanthropist. He has been called a “father of aerial photography” and has supplied instrumentation for projects from the earthbound cold of Antarctica to the airless cold of space” [The Abraham family of Lengerich, Germany and the Abrams family of America, Newbury Street Press, 2007]. Always looking for ways to make a living from flying, Ted began offering plane rides at exhibitions.Ted began taking photographs to show potential passengers what they might see from the air. He found that people were more interested in the the photos than the flights. Ted quickly saw this as a niche with less competition and more profit than barnstorming, Ted modified his standard J-1 by cutting a hole in the floor of the plane through which he could take photos. 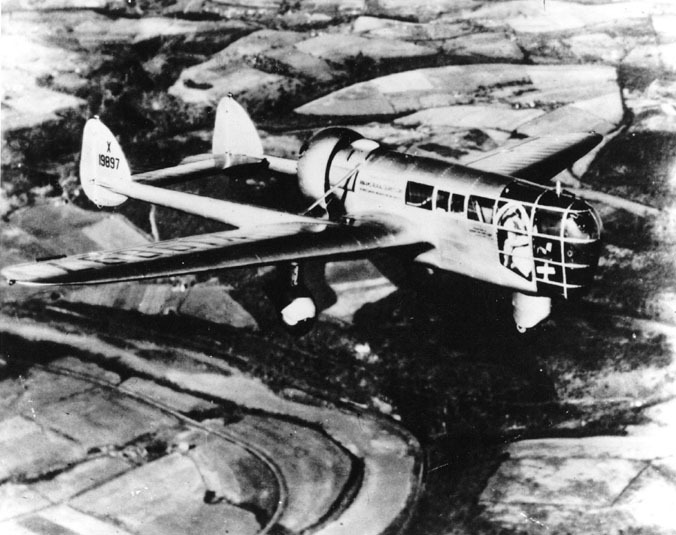 The Abrams Explorer, specifically built for the purpose of aerial photography and mapping. “The field in which Talbert Abrams made his name is called “photogrammetry, which is the science of making reliable measurements in surveying and map-making, usually from aerial photography.” He surely would have loved Google Earth! World War 1 created a strategic need for accurate maps. He “pioneered in the development of instrumentation , calculating techniques and plane modifications.” The Abrams Explorer is a unique aircraft specifically designed for aerial survey and mapping functions.” The Explorer is currently on display at the Gerber Facility in Virginia awaiting further restoration and display at the Smithsonian Institutions National Air and Space Museum. 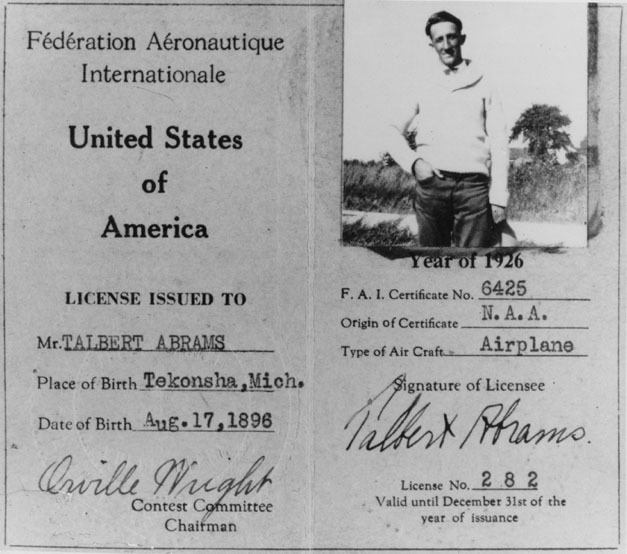 Talbert Abrams’ primary business was the Abrams Aerial Survey Corporation. The Abrams Instrument Corporation engineered and manufactured many instruments for the government and Michigan. “Ted loved to talk about flying and gave hundreds of talks to groups and extensive interviews on the subject”. “The earliest classes in surveying and photogrammetry at Michigan State College (now Michigan State University) were those he conducted there in 1926. Ted loved to teach, write and lecture about flying. 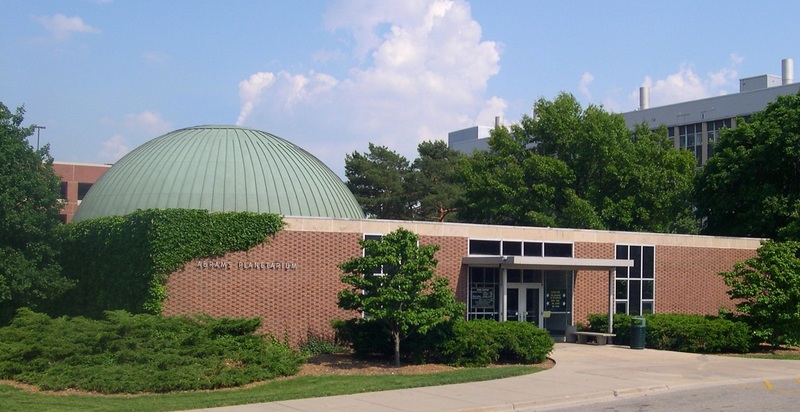 “When MSU sought to establish a planetarium on campus, the Abramses gave a substantial financial contribution to get the project well on its way.” The Talbert and Leota Abrams Planetarium continues its mission of education today. 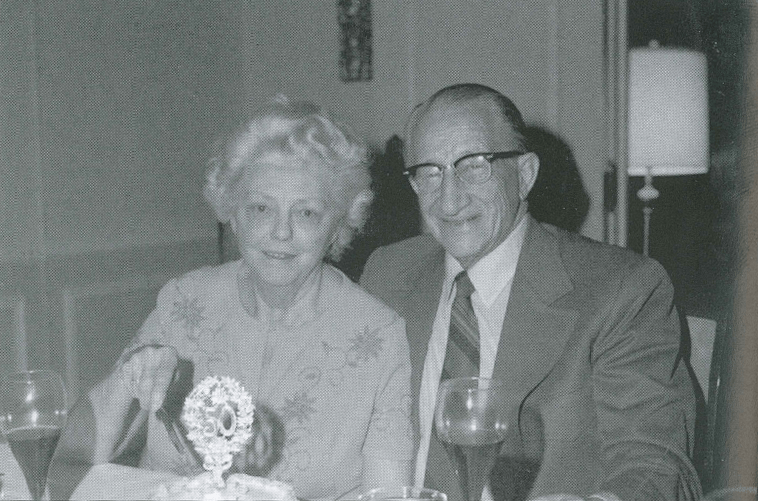 The Talbert and Leota Abrams Foundation was established in 1960, making grants for education and scientific purposes, mostly in the mid-Michigan area. Inspired by the shadow Ted saw on the ground while flying, he decided to build the Airplane house in 1950. In Leota, Ted found a partner in his love of flying. She, too, was a pilot. she went to business school in Lansing and began life as a social worker. At the same time, she served on the board of Abrams Aerial Survey and Abrams Instrument Corporation. She was a woman before her time! They both loved to travel and did so whenever possible. “She was a straight -forward, no-non sense lady, probably a legacy of her days in social work.” In August 1951 they moved into their dream house which was Built in the shape of an airplane. Ted and Leota- The People. Always in a suit and tie, Ted was distinguished and extremely thoughtful. While always fairly formal there was an undeniable curiosity that belied the child inside. His family remembers him as a true visionary. Comments like”what do you say we go to the moon? We’re common. His imagination was always on full alert. His eyes would light up over stories of his adventures and the joy they gave him. They were very busy people and never had children. Their niece, Barbara Brown enjoyed living close by in Okemos. 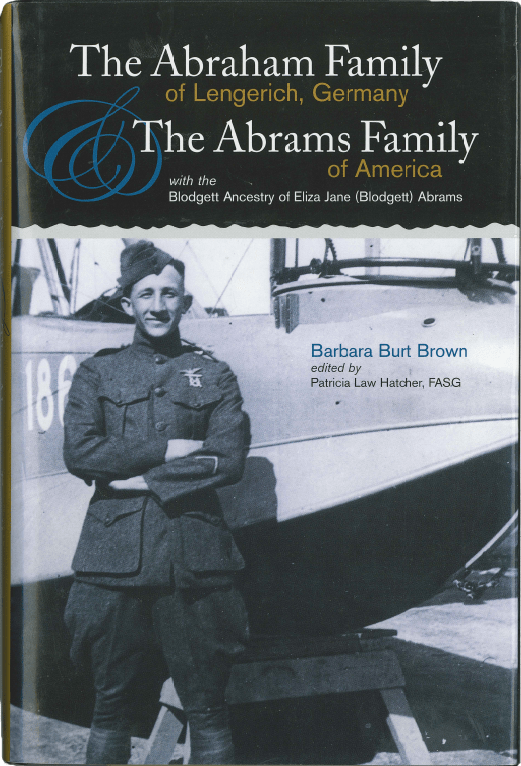 The history of the Abrams family was documented in the book The Abraham family of Lengerich, Germany and the Abrams family of America, by our Former Board president Barbara Burt Brown ; edited by Patricia Law Hatcher and published by Newbury Street Press, 2007, Boston, MA. Photos and quotes are credited to this book and documentation thanks to Barbara’s dedicated work to record the family history.